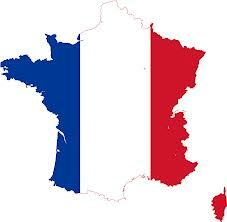 What’s Different about MDM in France? As told in the post about French MDM vendors yesterday I have been on a MDM (Master Data Management) event in Paris today. Many MDM gurus (and gurus in other disciplines) stress that you shouldn’t focus on technology (alone) but take people and process very serious too. That’s not so important in France. Everyone knows that already. In France it’s common to start with product MDM and then continue with customer (party) MDM. If you made a Gartner Magic Quadrant for MDM solutions in France you wouldn’t have a quadrant for customer data and another one for product data. There would be only one quadrant for (multi-domain) MDM and some of the local vendors would be leaders as discussed in the post MDM for Customer Data Quadrant: No challengers. No visionaries.